The Gay Footballer's Podcast is a podcast with the goal to spread the awareness of LGBTQ and ally representation in sports. With the main focus being on football, but also exploring other sports and personalities, each episode will consist of a 30 to 45 minute interview with an individual making an impact in their sporting discipline. Whether a current or former athlete, a member of an organizations front office, or even a sports journalist, each interview will help under cover the challenges, opportunities, and success LGBTQ individuals and allies face in their discipline within sport. Hey guys! Thanks for joining me and The Gay Footballer's Podcast. If this is you first time to the podcast, welcome! If you are returning, I appreciate your commitment to the podcast. This goal of The Gay Footballer's Podcast is to spread the awareness of LGBTQ and ally representation in sports. With the main focus being on football, but also exploring other sports and personalities, each episode will consist of a 30 to 45 minute interview with an individual making an impact in their sporting discipline. Wether a current or former athlete, a member of an organizations front office, or even a sports journalist, each interview will help under cover the challenges, opportunities, and success LGBTQ individuals and allies face in their discipline within sports. For the first full length episode, Adam had the chance to interview his friend, colleague and mentor Jon Holmes. Jon works as the Home Page Editor at Sky Sports Digital. He is extremely influential and current in all things LGBTQ surrounding sports. He is based in London, United Kingdom and Adam got to sit down for a conversation during his time as a speaker at the Just A Ball Game, Stronger Together, conference in February. Jon is a talented editor, writer, and comes with a multitude of ideas into improving sport for everyone. 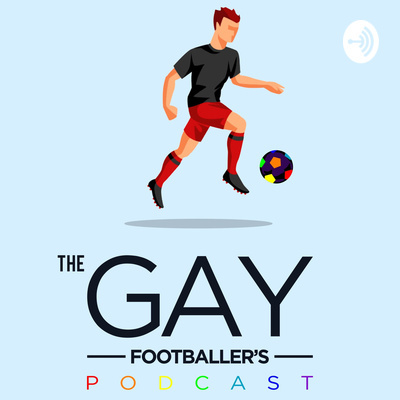 To follow Jon and his work please follow the below links: Twitter: @jonboy79 & @sportsmedialgbt Sky Sports LGBT and Sport Inclusion Content: skysports.com/rainbowlaces Sports Media LGBT Network: https://sportsmedialgbt.com/ Make sure to subscribe to the podcast on whatever platform you are listening from and give us a good review and rating! We are also on all social media platforms and you can follow us and give us a like at the links below: Instagram: @thegayfootballerspodcast Facebook: The Gay Footballer's Podcast Twitter: @tgfpod And last, if you want to get in touch for any reason, please shoot us an email at thegayfootballerspodcast@gmail.com Thanks for listening and looking forward to taking on this journey with you! Welcome to The Gay Footballer's Podcast! Hey guys! Thanks for joining me and The Gay Footballer's Podcast. I am so excited to being this journey and appreciate you listening. This goal of The Gay Footballer's Podcast is to spread the awareness of LGBTQ and ally representation in sports. With the main focus being on football, but also exploring other sports and personalities, each episode will consist of a 30 to 45 minute interview with an individual making an impact in their sporting discipline. Wether a current or former athlete, a member of an organizations front office, or even a sports journalist, each interview will help under cover the challenges, opportunities, and success LGBTQ individuals and allies face in their discipline within sports. This first episode is an introduction to the podcast and the host (Adam McCabe). Make sure to subscribe to the podcast on whatever platform you are listening from and give us a good review and rating! We are also on all social media platforms and you can follow us and give us a like at the links below: Instagram: @thegayfootballerspodcast Facebook: The Gay Footballer's Podcast Twitter: @tgfpod And last, if you want to get in touch for any reason, please shoot us an email at thegayfootballerspodcast@gmail.com Thanks for listening and looking forward to taking on this journey with you!